New York City-based photographer Brendan Burdzinski opens his solo show at Geary Contemporary tonight. Lotto tickets as the theme throughout the show may sound light. 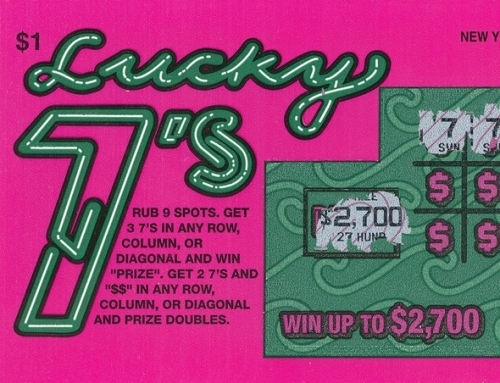 But scratch-offs stand as a symbol in his imagery, Burdzinski's way of bringing up modernization's lack of morals. Do you ever buy lottery tickets? I enjoy an occasional scratch off game when I'm feeling lucky. When the stakes are high I like to participate in the power ball, especially when I notice people around me getting excited. It makes me feel united with every other lotto player I'm up against, I could say it feels patriotic even—we’re all going in on it. What is your own interpretation of ‘automatic’ in a larger context? America’s relation to production and consumption fascinates me, It’s automatic how cash rules everything around me, so to speak. Maybe we fall into automatic patterns as a whole, based on impulse and heuristic modes of thought. Working toward the "American Dream" seems like an ingrained, almost automatic response to our national culture, values, interests, creed. Growth for the sake of growing seems automatic (and a difficult pattern to break). What are you trying to change other than context in terms of the lottery ticket, as a metaphor? I’m interested in intervening in this masochistic cycle of hope, consumption, disappointment, discardment. The jumping off point for this series is the manipulation of the ticket to make myself the winner (ergo the viewer the as well.) Opening up the reward center that get’s tickled when there’s a possibility of something great and unexpected happening. What do you think you would do if you won the lottery? I would escape, but not for too long. Having money on the mind could have devastating effects, but I don’t think I’m alone when I think the idea of having more money than I know what to do with automatically makes me want to do something philanthropic. During one of those massive Powerball drawings, where the win was something around $600 million, I compiled hypothetical mental lists for the sake of feeding my own delusions. In the end, I’m confident I can say that I’m not interested in changing too much about my existing life.